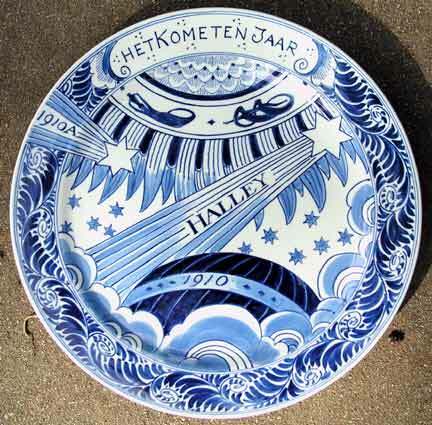 Above is a rare commmemorative plate from The Royal Delft factory. 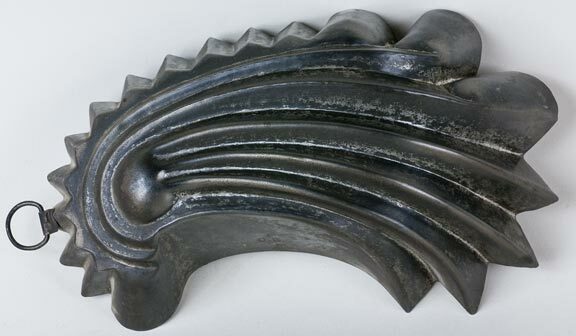 It is De Porceleyne Fles with a date code AE 1909 designed by Jacobus Frölich Sr. who worked from 1889 to 1929. 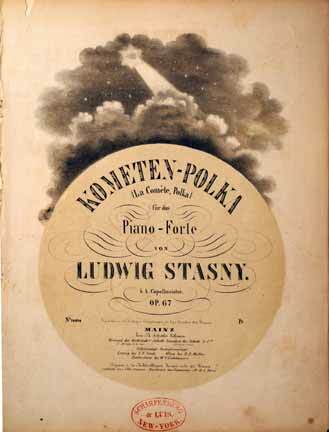 It is 24.8 cm in diameter. 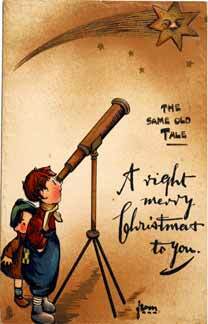 This was only the 3rd commemorative plate that Fles actually issued. 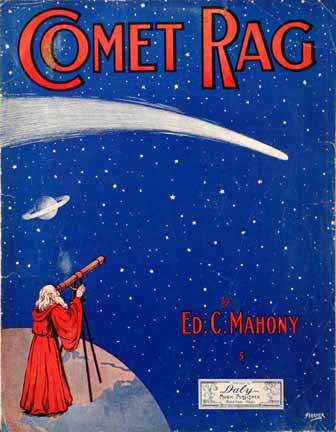 No one knows how many were made, but there are about 5 known to exist. 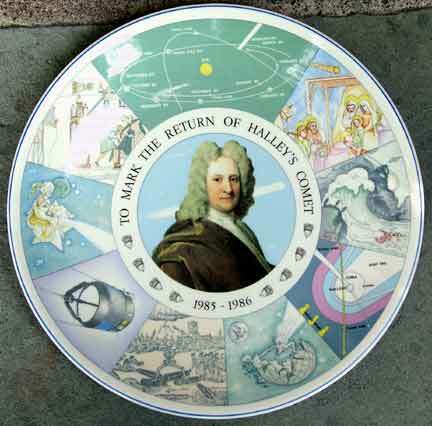 This is the 1986 Halley's comet commemorative plate made by Wedgewood, England. 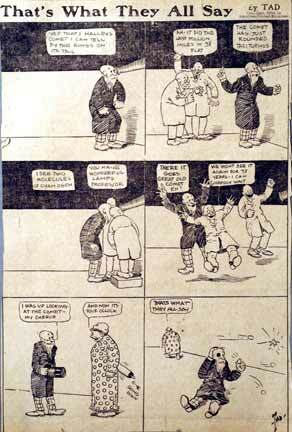 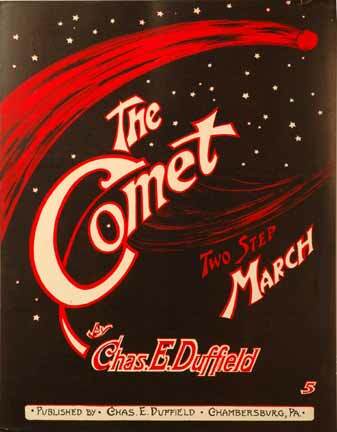 It shows nine scenes that commemorate the return of the comet. 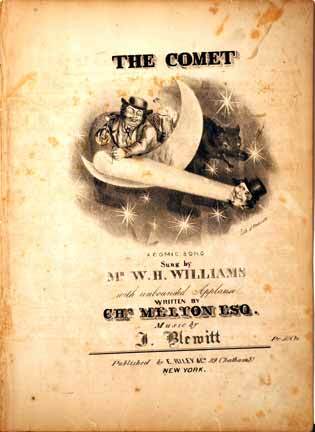 A jello or pudding tin mold in the shape of the comet. 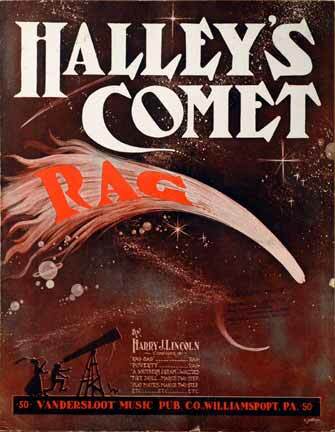 It shows the comet of 1882 or 1910. 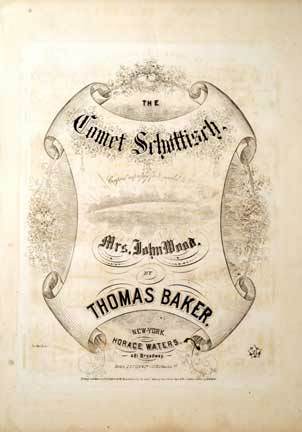 I recently found this in central PA.
Sterling silver, souvenir spoons were popular collectibles when the comet appeared in 1910. 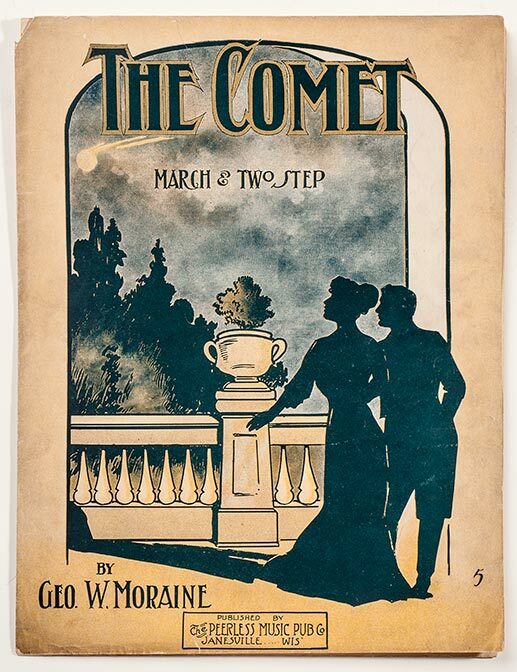 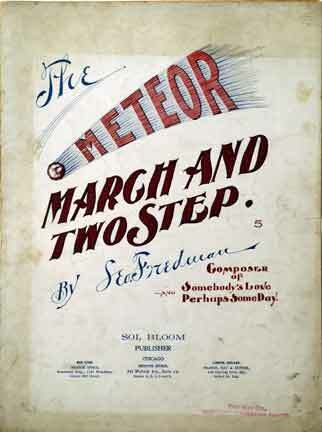 Sheet music reflected the public's interest in the comet's appearance. 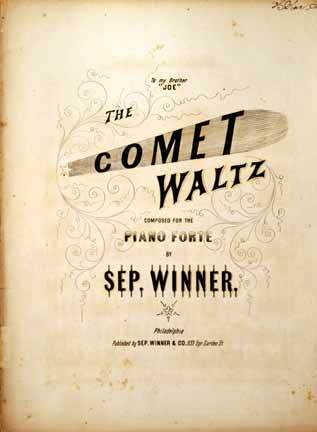 As I searched for interesting 1910 sheet music, I found some early pieces from the 1861 comet. 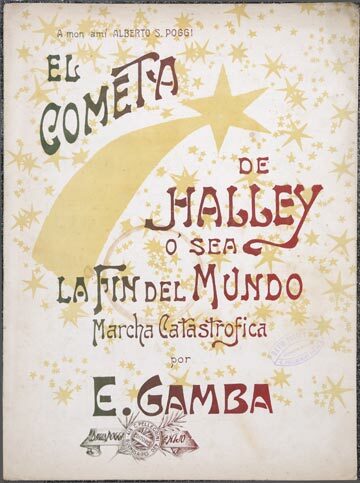 A 1910 cover of the "Comet Rag"
1910 sheet music from Argentina "Marcha Catastrofica" - The Catastrophy March 1910 sheet music "The Comet March & Two Step"
1897 "Meteor March And Two Step"
An 1861 piece of music called the "Comet Schottisch"
A 1910 newspaper cartoon with a punchline "I was up looking at the comet my Cherub" "And Now its four O'clock. 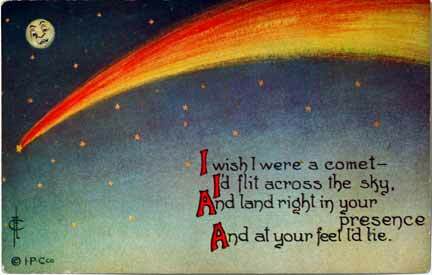 That's what they all say!"